Earlier this month, Orbital ATK opened up the doors of its Chandler, Arizona, facility to a group of 150 local elementary school students. The event was part of the Chandler Education Foundation's Destination College summer program, which aims to encourage young students to pursue college and careers in science, technology, engineering and mathematical (STEM) fields. An excited group of 5th and 6th grade students toured Orbital ATK's Chandler, Arizona, facility as part of the Destination College program. 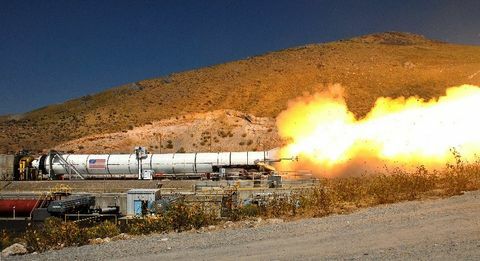 Orbital ATK's Chandler, Arizona, facility is the headquarters of the company's Flight Systems Group and Launch Vehicles Division. 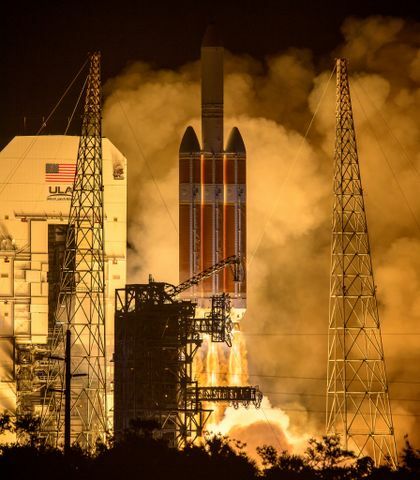 With a total of 496,000 square-feet of facilities, this is where a majority of the company’s launch vehicle design, development, manufacturing and testing operations occur. Students were divided into groups and received a 30-minute presentation followed by a tour of the facility. Trina Patterson, Senior Manager of Communications for Orbital ATK's Launch Vehicles Division provided an inspiring speech to the 5th and 6th grade students. "What we do here at Orbital ATK is incredible, amazing and within your reach," said Patterson. 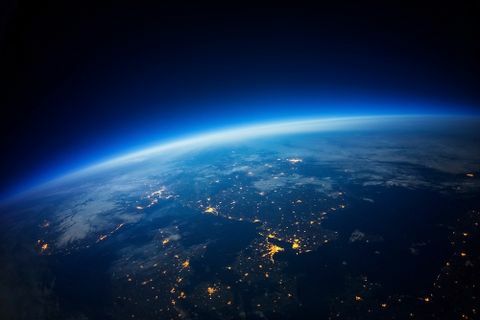 "Your generation will be the ones who will explore Mars and beyond. No matter your circumstances, you can choose today if you want to be part of that future." Patterson asked how many of the students are going to be the first in their family to graduate from college, to which the majority of hands were raised. "I was the first in my family who graduated from college even though I was discouraged from ever attending," said Patterson. "Believe in yourself and decide what you want your story to be and then go do it!" Young students learn about the basics of building and launching rockets. Jen Hewitt, Executive Director of the Chandler Education Foundation, said the tour of Orbital ATK facilities was a great opportunity for the students. Orbital ATK engineers were enthusiastic about sharing their knowledge with future scientists and engineers. Orbital ATK is committed to fostering future generations of engineers, scientists and technicians who will one day work in the aerospace and defense industries. Each year, the company supports a wide variety of organizations and activities through the Orbital ATK Gives Back program. Learn more about the company's involvement in local communities here. 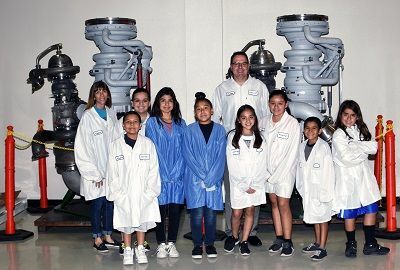 An excited group of 5th and 6th grade students toured Orbital ATK's Chandler, Arizona facility as part of the Destination College program.